There are generally discounts obtainable to senior citizen and modest children. Discover by contacting your nearest pool in Florida. These would be the Salt Water Pools in Florida other users have reported. Are you a local and your pool isn't listed? Contact us to ADD IT. It's absolutely free! Please check the nearest Pools or Contact us to ADD IT. It's absolutely free! Please, use the contact information provided at every pool profile. Looking for Salt Water Pools in Florida? Many of them belong to gyms or sport centers which also offer lessons. Traveling to Florida? This is the appropriate spot on the net to find places to swim in Florida. Each day you are not swimming you're losing precious time to boost your skills a be a far better swimmer! No more excuses!. It's difficult to visit Florida without dropping by Orlando (with 238.300 residents). 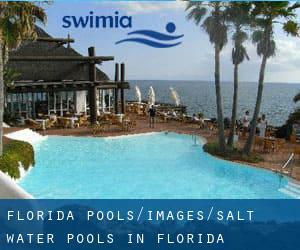 Currently Swimia is showing you all the Swimming Pool in Orlando and also the closest pools situated in its vicinity. Without a shadow of a doubt, swimming in Miami would be the finest approach to unwind soon after work. Take a couple of minutes to browse Swimia's catalog to find a Pool in Miami. Holding an estimated population of 821.784, Jacksonville is one of the most important cities in Florida. Check all the Swimming Pool in Jacksonville and its surrounding area. Swimming is a excellent idea to help keep your body active for the duration of your visit to Hialeah (Florida), or even if you're a local. Swimia helps you to find your closest Pool in Hialeah. Let us tell you a secret to switch off while you will be in Saint Petersburg: just pick a Pool in Saint Petersburg and plunge into the water! There's no much more powerful system. Updated on 2019 Highway 30A , Alys Beach , FL , USA (Postal Code: 32461). Swimmers like you have reported 100 feet x 50 feet, Salt Water, Outdoors. Also, you will find 25 yards, Outdoors. If you have to contact this Pool, email address and phone number are both number.